Guru Randhawa is the well-known personality of Punjabi music industry. Guru Randhawa Songs are the ones which have shown different colours at different levels. He is well known for the songs like Patola, Yaar mord do, Ban ja meri rani, Khat, Darda nu, outfit and latest one includes Lahore. Patola Guru Randhawa is the song that has given him maximum fame. Even he feels the same the time period of 2015 was the one when he got a real boost in the industry. The song was done along with the legendary Punjabi rapper with whom, nearly every singer of Punjab wants to work, none other than Bohemia. Bohemia songs are very selective, one of which was this youngster’s song which is been loved by many people around the globe. Let us now take a look towards the journey of Guru Randhawa. Guru Randhawa’s real name is Gursharanjot Singh Randhawa and he belongs to Noorpur village near Gurdaspur, Punjab. He studied in convent school from very first times which is why he has seemed two very different lives like one in the high-fi school another at his own place in the home, village people, fields, and lifestyle. Guru Randhawa was just 16 years old when he left his village and started living in Delhi. For a long time, he lived in Delhi. Guru Randhawa did not learned music from anywhere; he has always just observed the things by watching television, which was one of his dreams that how can one be seen inside the television. He started writing songs when he was in 8th standard; also he had his very first crush in 9th standard that sounds very interesting which he told during an interview. Guru Randhawa started his journey with many songs in his bank but still was very confused for his very first song. He is the one who composes his own songs, writes them and singing them is one of the major parts he works on. Till now Guru Randhawa has worked with many artists like Millian Gabba, Bohemia, Preet Hundal and many more. Chadd Gyi was his very first song of Guru Randhawa for which he paid and made it come in the market under the banner of Speed Records. As he was very new for the industry, the song did not go too much well as the name was not that familiar with the audience. But soon after a time gap of around 4-5 months, which he feels that was the toughest time during the time of his musical journey. He made a whole album of some songs which included song Darda nu, Patola and some more. He asked some of the audio banners to buy his work and publish but they were not ready to make any payments for his songs as he was still a newcomer for the industry and market. Guru Randhawa did not want to give away his work for free of cost to anyone because it was the thing for which he has done so much of hard work. Hence he found a solution that he released the songs under his own banner and had copyrights of the songs. The songs reached a very limited audience but yes the things worked, slowly he started building his audience which started appreciating him. One of the songs from his album, Darda nu was awarded as PTC best music award for this song. This was the moment for which Guru Randhawa was waiting for. The song was less known to people but this award was the turning point for him that changed many things in his life. The traders which were not ready to buy his work were now approaching him to do a song for them, and for which they were paying him good amount as well. 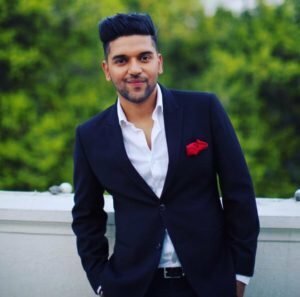 Guru Randhawa tells that all those people who want to be on the screens and come into the industry, Guru Randhawa says that one should do efforts by his own capabilities that is what can take them far, along with this they should be at least regular with the time period they want to set for their next song. Most of the songs you have in your bank are already hit but if you do not release them how can one tell that you are doing good or bad. That is why it is important that you release your songs on the time, slowly the audience starts building and your work spreads to many people day by day. This is the only thing that has worked for Guru Randhawa as well. For a time Guru Randhawa becomes exclusive artist of T-Series, a well-known company of all the times. Guru Randhawa Ban Tu Meri Rani song attracted many people of Punjab and the song was loved by the audience. The song becomes so famous that even Bollywood wanted the song in the same magical voice of Guru Randhawa. He agreed to this and the song is included in Bollywood movie “Tumhari Sullu”, starring Vidya Balan. This is not the only song of him that has impressed Bollywood people. His very first song was in Irfan Khan’s very hit movie “Hindi Medium”, it included a song sung by Guru Randhawa. Another was sung in Kangana Ranaut movies Simran which was a party song. Not only Bollywood but before that Guru Randhawa has spread the magic of his voice at MTV which is none less than Bollywood, along with very famous singer, Kanika Kapoor. The song Ambersariya and Suit were sung at MTV studio under the banner of T-Series Mixtape. After this with Neha Kakkar, he was seen at MTV studio including songs Gabhru and Ban Ja Rani. Latest song of Guru Randhawa, Lahore which has already crossed a huge amount of views on YouTube. 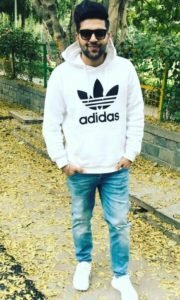 For now some of the advises come to his concern for doing a film but Guru Randhawa says that he feels that he may or may not be a good actor that is why for now he won’t be doing movies but for a time, his fans who want to enjoy his acting skills can see video of one of the very famous songs in his list, Yaar Mord do with Millain Gabba. The song was very different and the concept of the video was one that has made people cry, the song had such a great feel and he is personally very connected to the song. Also, he tells that this was the project that was very close to his heart due to which it took too much of time to finalize everything for the song. His voice puts meaning and feeling to his songs which makes him different from other people. He dreams of a BMW car and his own house which is one of his dreams. A few times back he used to go to his Village to meet his parents and Grand Parents as well. When one knows that he is here for the days, many people come and meet him, even from too far away which shows the love of his audience towards him. He talks with everyone during that time as he feels that they are the one due to which he has become a youth icon. When he felt the feeling of being home, many people coming to meet him from too far distances, he wrote a song named Ak47. That was written on this special occasion that can be seen in the lyrics of the song as well, Guru Randhawa did this song as an experiment as he is not the one who sings song with “Desi Lyrics” but this was the one that was accepted and appreciated by the audience as well. Guru Randhawa sung live at the Grand Opening ceremony of IPL as well. This was one of the greatest stages of international levels. His inspiration is his elder brother who lives in Canada and has always trusted him during his struggle days. Even the time of struggle came to his brother’s life as well which is why he treats him so well and encourages him to do well. Now when Guru Randhawa has become a youth icon in the industry of Pollywood as well as Bollywood music, his brother is happy for him that he is doing well in the field. At last we would talk about some personal interests of the artist. He thinks that music is his lifeline and everything that he has gained is because of this skill. His biggest wish is to have his own house. Babbu Maan is his favourite singer from the Punjabi Industry. The song that he loves most excluding his own songs is Uthaan Wale by “Atta Ullahh Khan”. The thing Guru Randhawa don’t like about himself it that, he gets irritated very easily especially when the things are not working according to him or the planning is not going well as he wants it to be. His hobbies include Travelling, writing down the songs, which he do not want any other singer to sing as he feels that he is the only one who can give the best feelings to the songs that the song deserves. As the writer only knows that in what state the song is written. Another hobby includes listening to the good music. Dream car is BMW and dream girl that Guru Randhawa would like to date is a Bollywood actress, Sonam Kapoor. This is all the info that Guru Randhawa Biography, holds till today, which has ups and downs but at the same time, he has a smile of positivity as well. This is what inspires all of us and his fans.